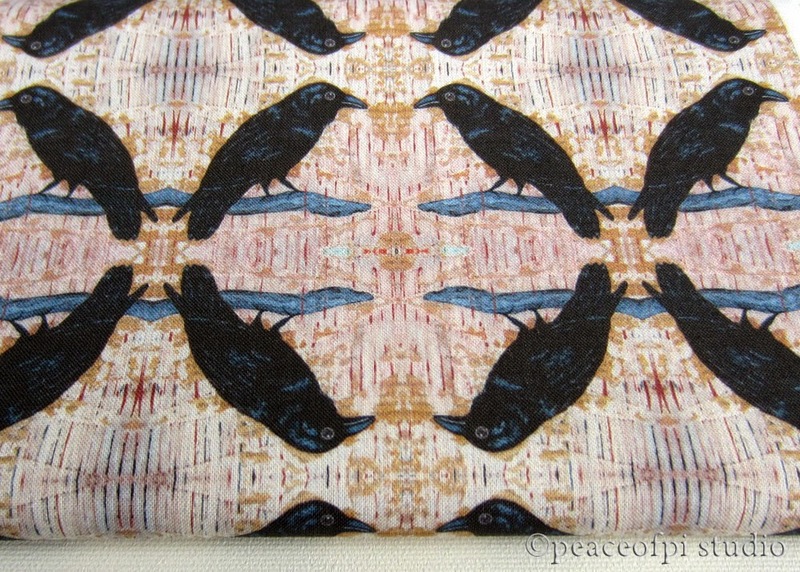 Another bit of beautiful cotton with crows from the peaceofpi fabric collection at Spoonflower. Created from my mixed media painting, Ravenwood features black ravens on a woodgrain inspired background. The creative possibilities for quilters and sewists are endless - bags, clothing, decor, quilts and more. A delightful luxury for a corvid & bird lover.